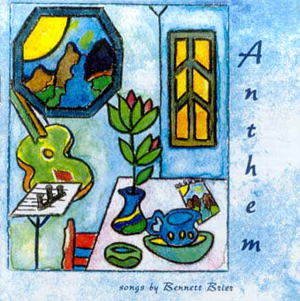 Anthem was recorded during the winter and spring of 1999 at RiverSounds in Castell, Texas. Jeri Arsenault produced and also played on it. Over 10 years, Jeri has recorded a variety of Texas musicians including Joe King Carrasco, Chris Maresh, Art Kidd, Elliott Fikes, and Ben Beckendorff, in addition to film sound tracks, mp3 files, video and live recording. jeri also fronts her own band Enchanted Rock, formed in 1993 with bassist Chris Maresh and drummer Art Kidd. This CD was mixed and mastered by Chris Langer, Castle Productions, and Jeri, in Austin, Texas. Chris is a Grammy-nominated engineer with over 20 years experience. Castle Productions is now located in Roberts, Wisconsin.